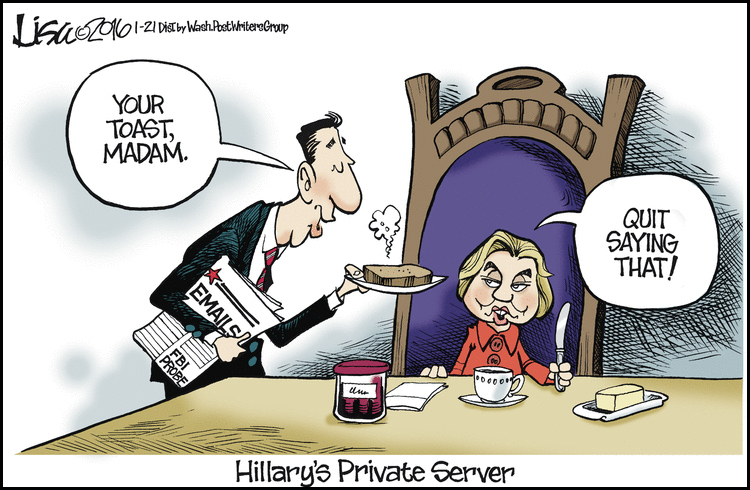 The cartoonist is implying that Mrs. Clinton is in trouble (she’s toast) for using a private server. When she was U.S. Secretary of State, Democratic presidential front-runner Hillary Clinton used a personal email address through her own private (computer) server and later deleted most of the information. Mrs. Clinton is now being investigated for wrongdoing.